Think about the kind of wedding you want – This is probably the single most important thing for you to consider. If your biggest priority is having a wedding that is very relaxed, intimate and un-structured then a large sprawling stately home may not be the best option for you. It’s a really good idea to have a think about the ‘vibe’ you would like for your wedding and then consider each venue within this context. Even if one of the venues ticks all the ‘logistical’ requirements of your wedding day, if it doesn’t have the right ‘feel’ or vibe then it probably isn’t for you. 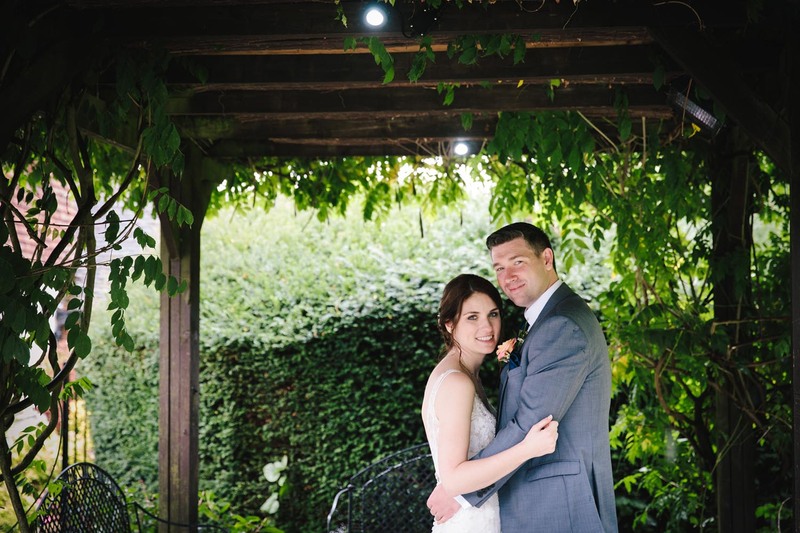 Oaks Farm – is a beautiful and relaxed venue located just outside of Croydon in Surrey. 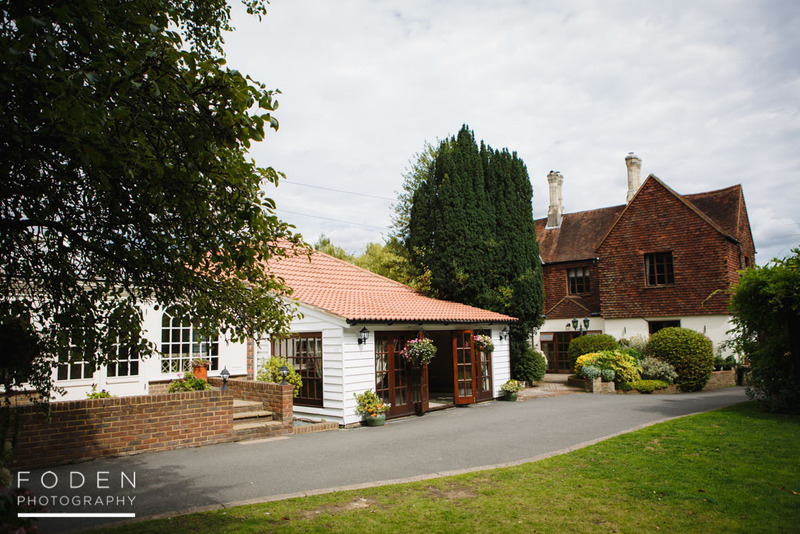 It has a wonderfully relaxed ‘country’ feel to it, and the staff and owners are really lovely! We are very fortunate to shoot here a lot, and it gets a big thumbs up from us! Consider the logistics of the day -Ah, the practical stuff! Whilst this might be less interesting, it is equally important. What is the day capacity of the venue? How many extra guests can it accommodate in the evening? Are there many local hotels for guests to stay it? If it’s a hotel what is their room availability like for your wedding date? If the venue holds more than one wedding a day, how will they ensure that the individual weddings are separated? Can the bride get ready at the venue (this is a great selling point if she can)? It’s a good idea to write out a short list of key logistical questions to ask in advance of researching or visiting potential venues. Beautiful Northbrook Park! 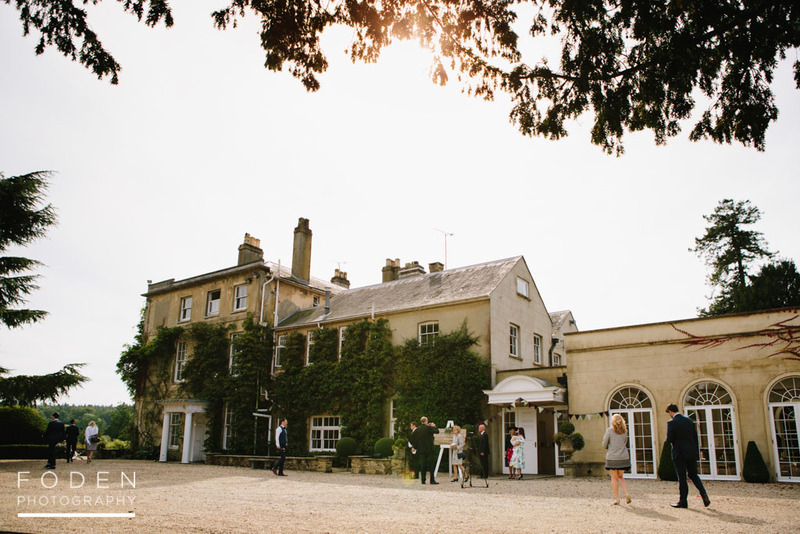 This stunning venue is located just outside of Farnham on the Surrey/Hampshire borders. Its one of those rare venues that combines a large guest capacity with a relaxed vibe! One of our fave places! How responsive and accommodating are the staff? – This is SUCH an important point to consider. How friendly and responsive are the staff and co-ordinators? Do they reply to your emails within a reasonable time frame? And are they accommodating to your requirements? Whilst of course it may not be feasible for a wedding venue to accommodate all your requests and requirements (it may not be practical or feasible), they should deal with your emails and requests courteously and with a good level of customer service. Equally it’s very important that you don’t behave in an unreasonable way yourself and demand the impossible! 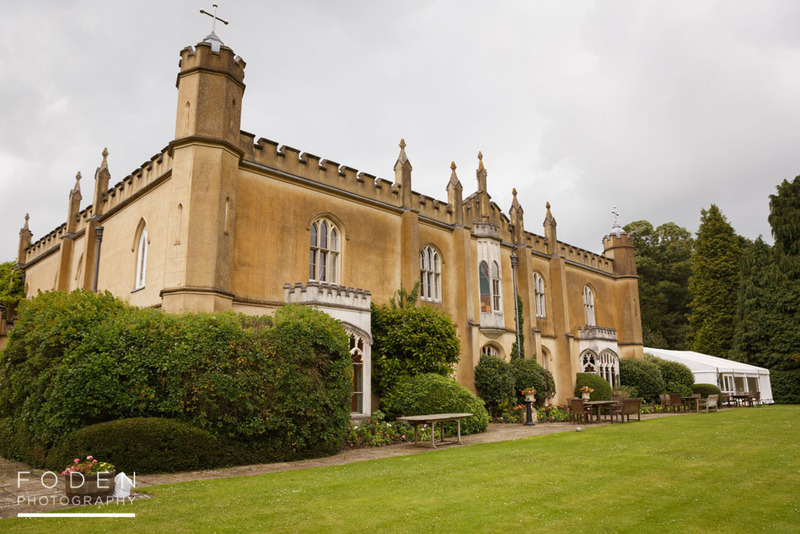 The stunning Missenden Abbey in Buckinghamshire. What happens if it rains?- Yes, we live in England, so we do have to think about these things, even if you’re planning on a summer wedding! Whilst it’s true that it unusual to have a total rain out for your whole day, rain can rear its ugly head at any time. It’s absolutely worth asking your venue which inside areas that can be used for group shots and even portraits in the event of rain. Also ask where your guests will be situated in the event of rain, and check that the room can comfortably accommodate that number of guests. Of course you don’t have to book a typical wedding venue. 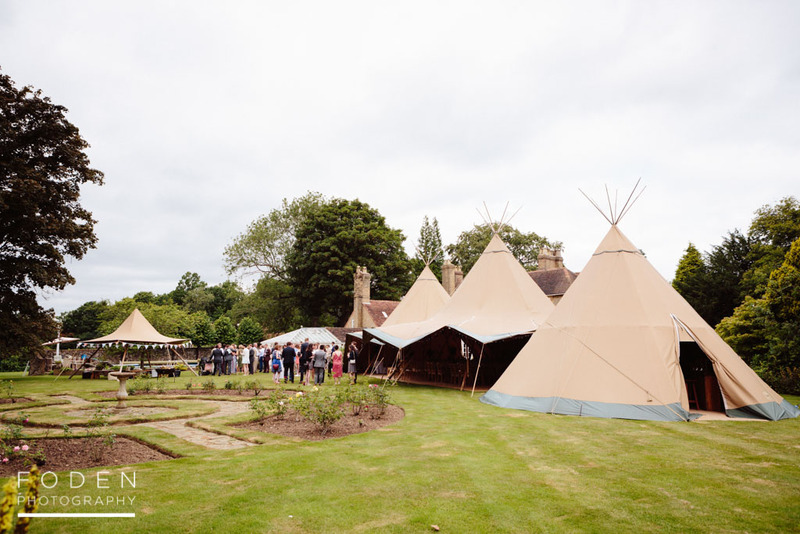 This wedding took place in the garden of the groom’s parents, and featured these stunning tipis! This kind of approach is perfect for a very relaxed vibe however, it will mean that you have more elements to organise for your big day. Of course whilst its really important to think through all these points, you should also place a lot of value on your gut instincts. Sometimes when you visit a potential venue you just know it’s the right place for your wedding, and it just isn’t something you can rationalise! We hope you found this post useful, and we’d love to hear your feedback/comments and suggestions! One of the main reasons couples book us is the fact that we are a husband and wife team that shoot every wedding together. This means that not only do you get the benefit of 2 photographers shooting your wedding day but you also get a consistent style and approach to your photographs. 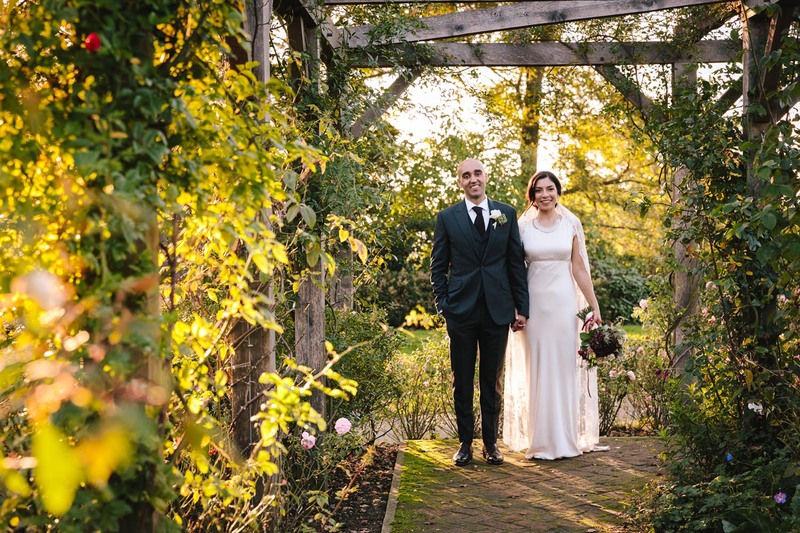 We live just outside of Croydon, in Purley, which is located in Surrey but also within Greater London so we are very well placed to cover weddings across the whole of the South East of England (and beyond). 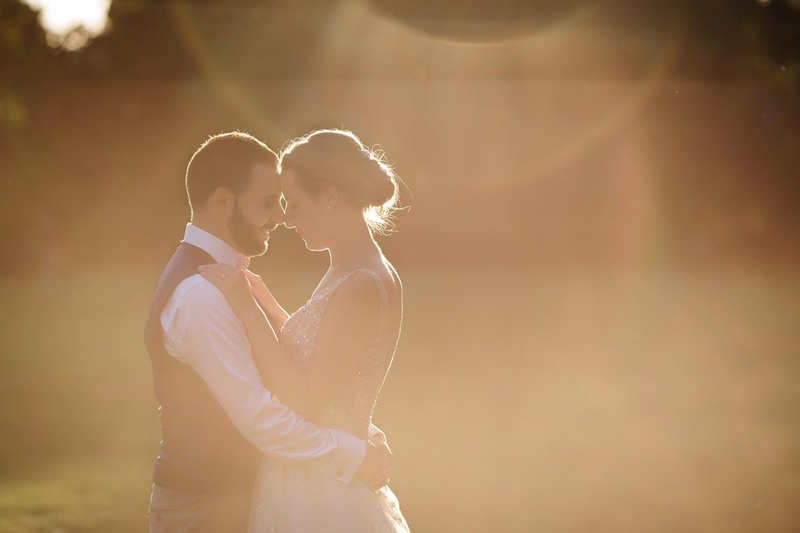 We are recommended photographers for both Oaks Farm (a beautiful wedding venue in Surrey) and also Clock Barn Hall, and have had our work featured in some of the UK’s top wedding blogs including Rock n Roll Bride, Whimsical Wonderland Wedding and English Weddings. We’re really excited to say that we were also regional finalists for wedding photographer of the year 2016 (Wedding Industry Awards).